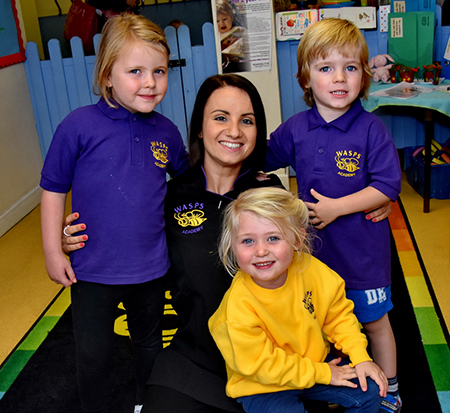 Children attending Wasps Academy, previously Padgate Preschool and Latchford Nursery, can now purchase stylish uniforms in our signature purple and gold. Purple polo shirts are available for £6.50 and gold sweat shirts for £7.50. You can place an order with a member of the Wasps Academy team or by completing an enquiry form below. Number How many polo shirts are required? Number How many sweat shirts are required?